Roger has worked in IT and Senior Management in the corporate world in both Australia and Europe for more than 20 years, he has been a Small Business Owner in Western Sydney for over 5 years working in the area of Cash flow Finance for SME's. 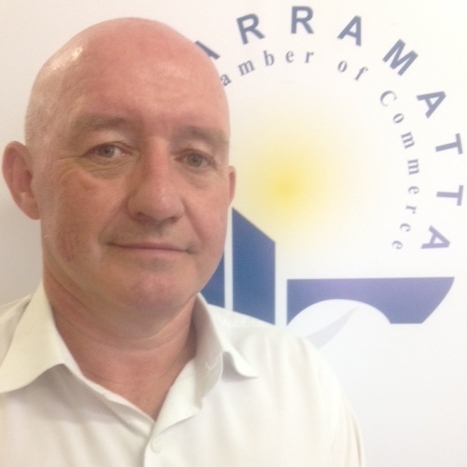 Roger has been President of the Chamber for the past two years and has chaired the Executive, WSABE, Membership and Communications Committees at various stages. Roger is also a member of the WS Collective an NFP organisation looking at issues of positive branding and youth unemployment in Western Sydney. Roger is a keen sportsperson and is a supporter of the Eels, WS Wanderers and GWS Giants. Roger holds the following qualifications: Masters of Applied Finance and Investment (SIA); B.A. (Hons) Economics and Philosophy (Trinity College, Ireland).